I thought it might be fun to show pictures of the stages of me painting my latest miniature Dolls House picture, this is a first for me. 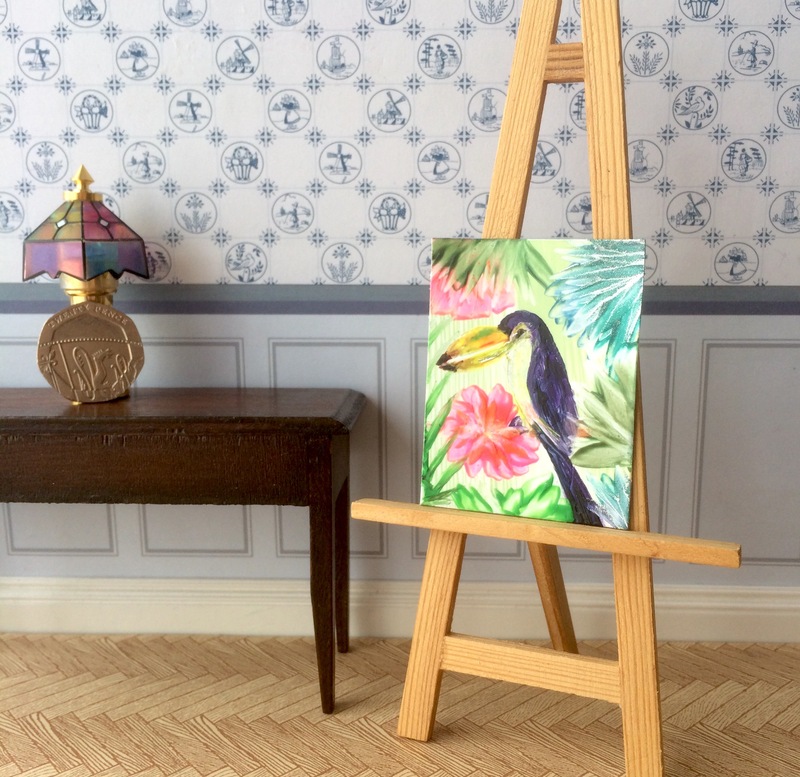 I have never painted a Toucan before. 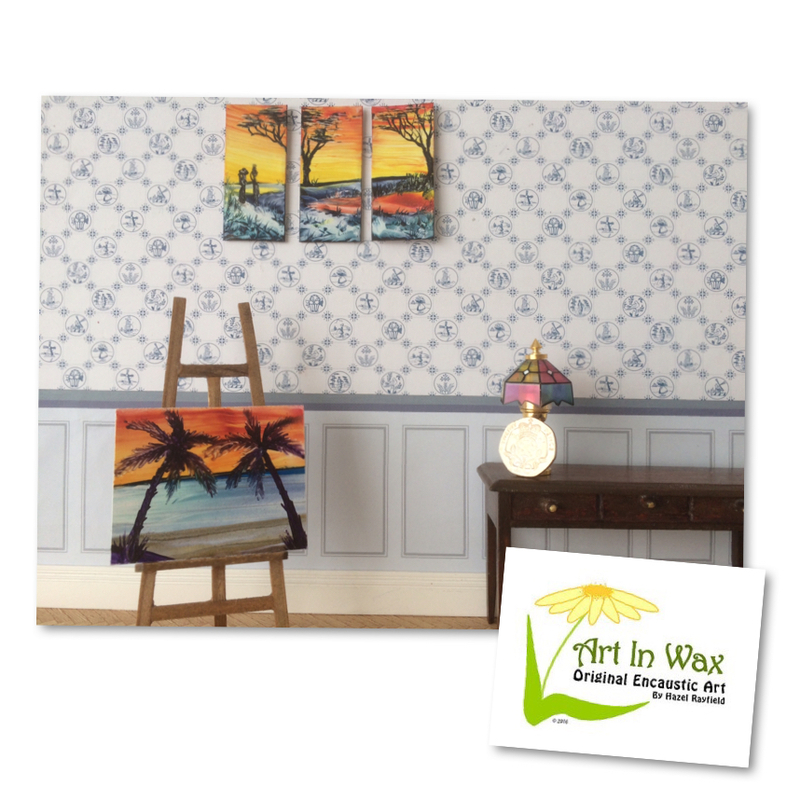 Being a miniature artist is great fun and painting miniature Dolls House Art in hot wax can be a challenge….. I do like a challenge ! 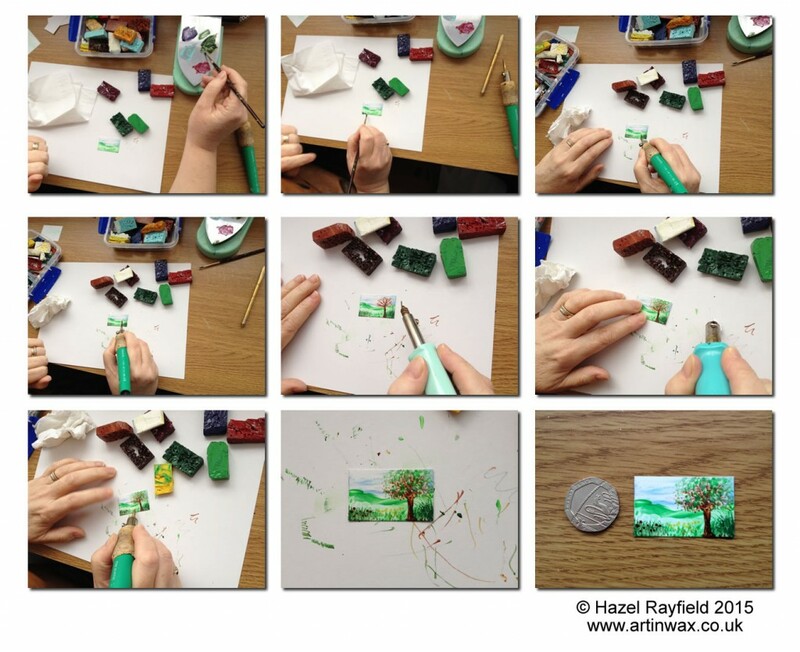 These photos show the stages of how this little piece of Art In Wax came to be. First I painted the background. I did this using my encaustic iron, using a mixture of leaf green and white wax paint. 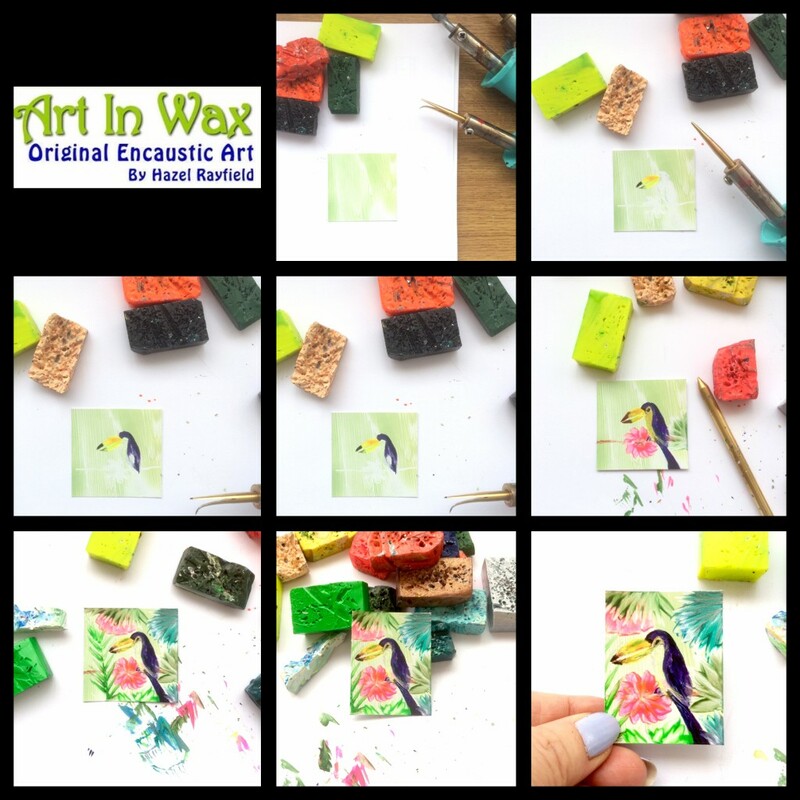 Note : I use Arts Encaustic Wax Paints on specialist encaustic gloss card support. I then roughly plan the layout of the picture and stat to paint. Painting in his beak then the body of the bird. I used a mix or dark purple and navy blue to paint his feathers as black would be a bit harsh I feel. The exotic flowers and the foliage are next. I use my tiny heat tool to get the details and my iron shape mini stylus for the greenery. The neon pink wax gives a great highlight to the tropical style flowers. Before finishing with a light polish I decided to trim the painting which is now 2 x 1 1/2 inches. I hope you like see the process of this project please leave me a comment below. 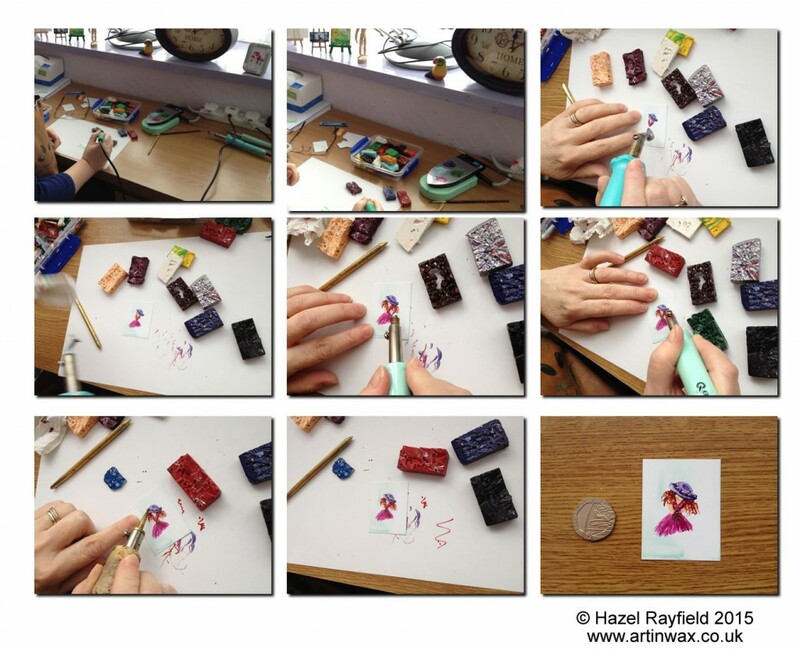 I thought it might be of interest to show the stages of my latest Triptych miniature painting. 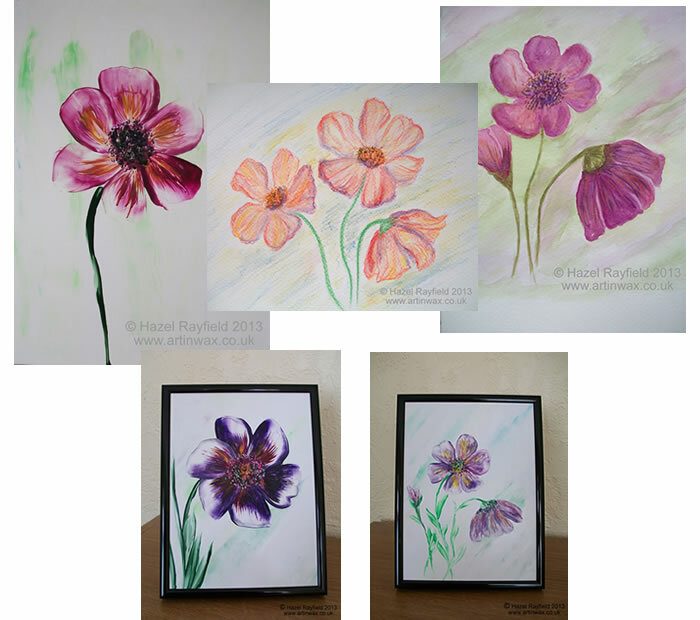 I paint using heat tools and specialist encaustic wax paints. 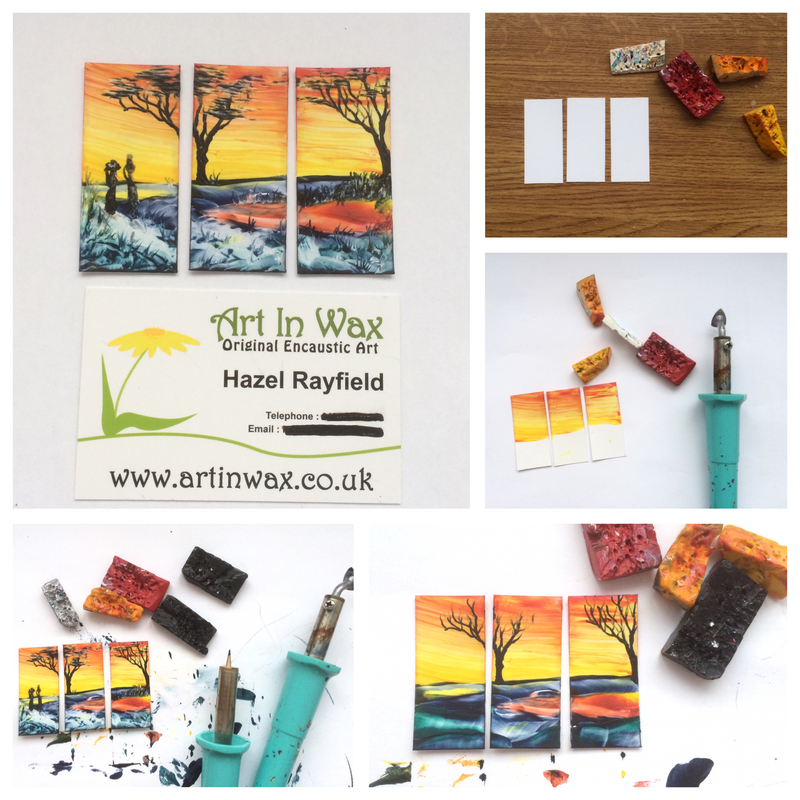 I started with cutting the specialist encaustic gloss painting card into the size I wanted in this case each piece is 2 1/4 x 1 inch. Using a mix of red, orange and yellow wax paints I paint the sunset sky using a combination of my iron shaped stylus tool and hot air. Then the landscape and trees start to form, the lake has a reflection of the sun setting sky and as the landscape evolved the path the ladies carring their goods, perhaps clothes and a urn for water the foreground takes shape. Once completed I have given the painting a light polish with a cloth. I don’t use polish, varnish or sealer, just a light buff up with a soft cloth. This brings out the sheen of the wax. I hope you like this little painting it is a dolls house size miniature. Not a toy and not suitable for children.